CTVP Staff & Volunteers are on high alert after a rocket from Gaza exploded in the Gan Yavne region, east of Ashdod on Tuesday evening,shattering four weeks of quiet and setting off air raid sirens in the Ashdod and Lakhish regions. 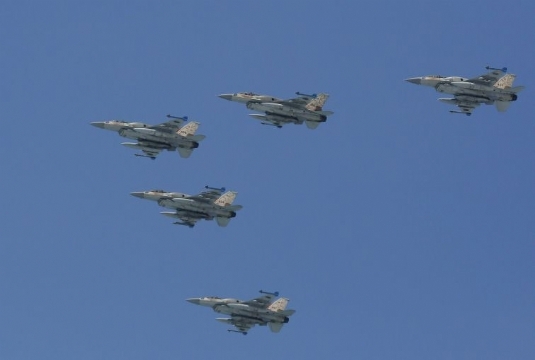 In response, the Israeli Air Force attacked four targets in the Gaza Strip early Wednesday morning, following an earlier rocket attack on Israeli territory. The IDF identified the targets, in the southern part of the coastal enclave, as terror infrastructure. The army added that it viewed the Tuesday rocket attack on Israel with severity and it holds Hamas responsible. A rocket from Gaza exploded in the Gan Yavne region, east of Ashdod on Tuesday evening,shattering four weeks of quiet and setting off air raid sirens in the Ashdod and Lakhish regions. Apart from a 15-year-old girl who was taken to Barzilai Medical Center in Ashdod suffering from a panic attack, the rocket failed to cause injuries, though emergency responders were still assessing on Tuesday whether the projectile had caused any damages. Tuesday's rocket was the first mid-range rocket attack since the ceasefire went into effect on August 26 following the month-and-a-half long war with Gaza known as Operation Protective Edge. There was no immediate indication about which terrorist group fired the rocket.